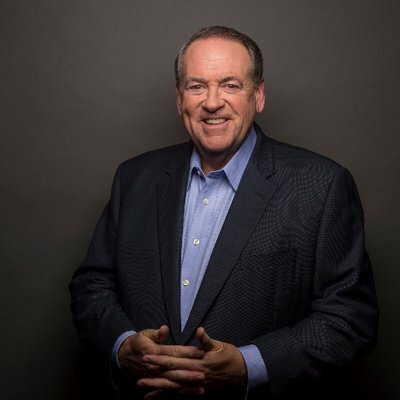 One-time GOP presidential candidate Mike Huckabee’s Twitter picture. James Bond got drawn into U.S. politics this week as CIA got a new director. The U.S. Senate voted to ratify Gina Haspel in a 54-45 vote. But not all Republican members of the Senate voted for the veteran CIA employee because at one point she ran an agency facility in Thailand performing “enhanced interrogation,” including waterboarding. Haspel wrote a letter dated May 14 (which became public the next day) saying the agency shouldn’t have utilized such techniques. Mike Huckabee, a one-time GOP presidential candidate, criticized one GOP Senator who voted no, Jeff Flake of Arizona. Huckabee also is the father of Sarah Huckabee Sanders, Trump’s press secretary. 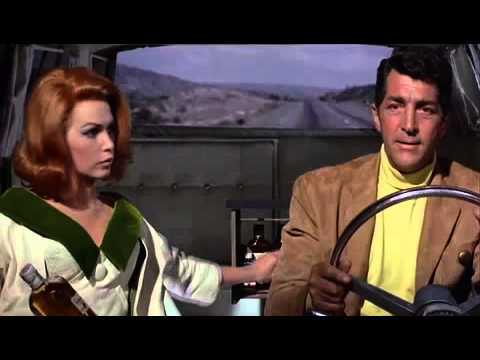 This week, Turner Classic Movies televised a series of spy films, including The Prize (1963). 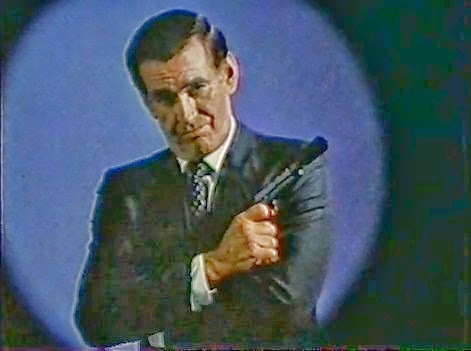 The movie, released by Metro-Goldwyn-Mayer, had a number of connections to The Man From U.N.C.L.E. Some of this stemmed from how U.N.C.L.E. was also produced at MGM. In any case, here’s a partial list of U.N.C.L.E. ties to The Prize. Crew: These names show up on just about every production either produced by MGM or made at MGM in the 1960s: George W. Davis (co-art director), Henry Grace (co-set decorator) and Franklin Milton (sound or recording supervisor). Another name that shows up in many MGM-related productions is William Tuttle, who headed MGM’s makeup department. The Prize also includes a score by Jerry Goldsmith. At this point, Goldsmith was transitioning from a television composer to a movie composer. Despite that, Goldsmith scored the pilot episode for U.N.C.L.E. as well as two additional episodes. Speculation: The Spy Commander has long wondered if Goldsmith, in his early 1960s work, was influenced by Bernard Herrman. Both Herrmann and Goldsmith did work at CBS during this period. In his score for The Prize, there are bits of Goldsmith’s score that evokes Herrmann (this also applies to Goldsmith’s score for 1964’s In Harm’s Way). 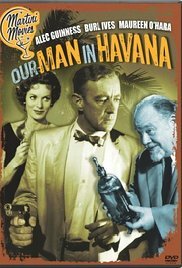 Leo G. Carroll: Played U.N.C.L.E. chief Alexander Waverly. In the Prize, he plays a small, but key, role as a Swedish count who helps administer the Nobel Prizes. John Banner: Most famous for playing Sgt. Schultz in Hogan’s Heroes, the character actor also played one of a group of scientists trying to take over the world in The Neptune Affair in U.N.C.L.E.’s first season. In The Prize, he plays a newscaster during the movie’s title sequence. Teru Shimada: In U.N.C.L.E., he plays the head of an Asian country who’s the target of an assassination plot in Season Two’s Part Two, Alexander the Greater Affair. In The Prize, he’s another newscaster in the title sequence. Shimada also played Mr. Osato in the 1967 James Bond film You Only Live Twice. Kevin McCarthy: He played the villain in the U.N.C.L.E. Season Two episode The Moonglow Affair (which was also the pilot for The Girl From U.N.C.L.E.). In The Prize, he plays a Nobel Prize winner. Ben Wright: The character actor was in two U.N.C.L.E. episodes (The Deadly Games Affair and The Girls of Nazarone Affair). In The Prize, he plays a reporter who asks question of Andrew Craig (Paul Newman’s character) at a press conference. Noel Drayton: Played a physician who conducts an autopsy on a seal in U.N.C.L.E.’s The Finny Foot Affair. In The Prize, he plays a policeman trying to verify what seems to be a wild story from Newman’s character. 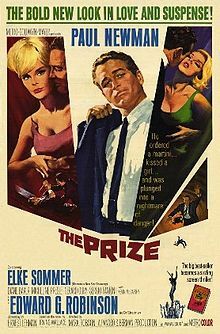 Irving Wallace: The Prize is based on a novel by Wallace, who also had written some episodes of Have Gun — Will Travel, which was co-created by Sam Rolfe, who developed U.N.C.L.E. Wallace’s nephew was Danny Biederman, a first-generation U.N.C.L.E. fan who (with Robert Short) attempted to produce an U.N.C.L.E. movie in the late 1970s-early 1980s.